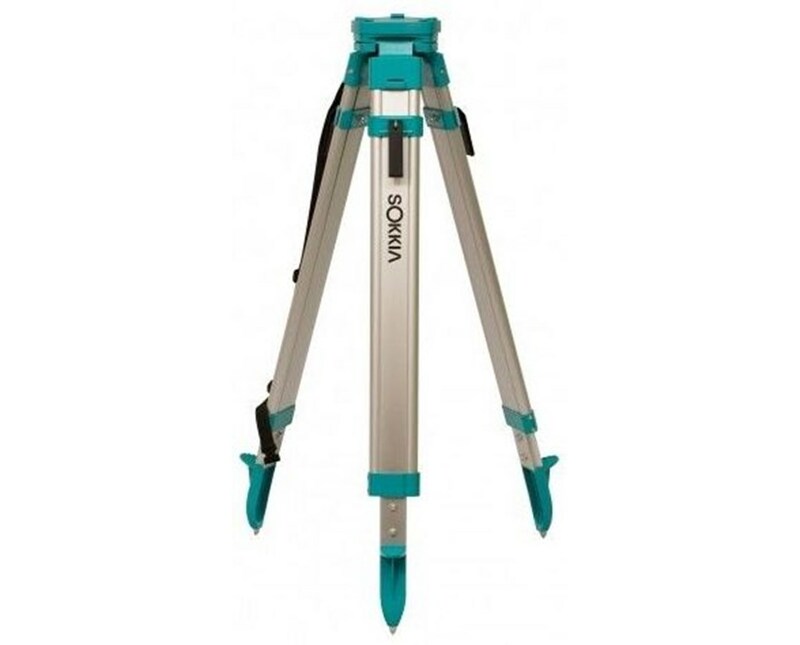 The Sokkia Lightweight Aluminum Tripod serves as a reliable foundation for your construction equipment. It has a flat head with 5/8 X 11 threading that accommodates standard instruments with ease. The strong aluminum hinges provide enhanced stability, and the telescopic legs allow the device to adjust from 34 to 63 inches high. Use the sturdy clamp locks to securely hold the legs in place. This device has pointed steel feet that grip the ground firmly. 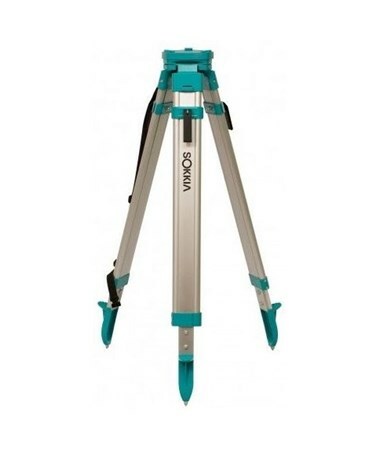 The 8-pound Sokkia Lightweight Aluminum Tripod is silver with green hardware and a powder-coated finish for added durability. It comes with a handy plumb bob hook and a shoulder strap for easier hauling.